WELCOME TO NEW FAIRFIELD BASEBALL!! 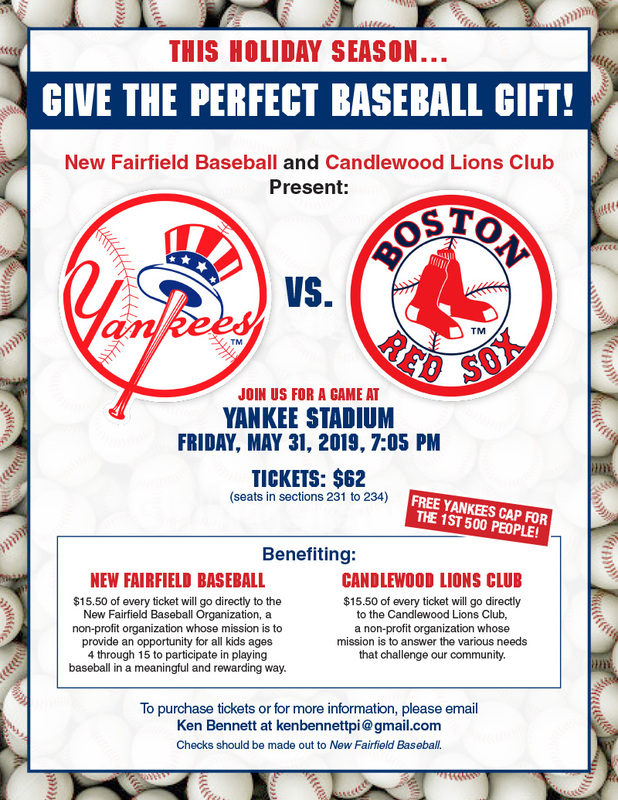 It is our mission at New Fairfield Baseball to provide an opportunity for all kids all ages 4 through 15 to participate in playing baseball in a meaningful way. We strive to teach the kids the rules and strategies of the game, increase self-esteem by developing their skills and confidence. You will find all you need related to all aspects of New Fairfield Baseball on this site. If there is something you can't find of have a question, don't hesitate to contact us. All contact info is located on the left menu on either the Board info tab or Contacts tab. I have set up three dates for pick-up. Hopefully you can get to one of them. If not I will bring orders that have not been picked up to the opening day ceremonies. Tickets purchased together will be seated together. 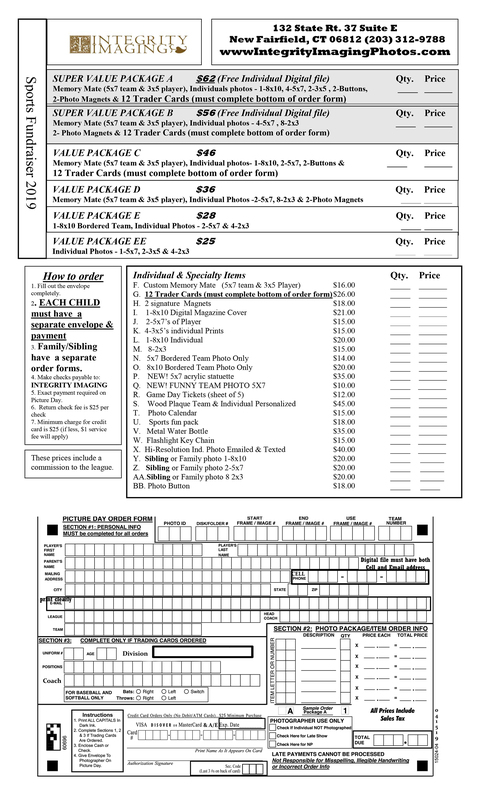 Upon Payment you will receive a Gift Certificate and Yankee hat suitable for gifting. The certificates can be reserved now with a return email to kenbennettpi@gmail.com or call (203) 610-4193 with payment made before the Certificates are issued. **You may purchase as many as you'd like, while our supply lasts. This is a tentative time line to help better understand the events, different seasons and overall calendar of the 2019 New Fairfield Baseball Season. Please understand that this is tentative and New Fairfield Baseball will send out more detailed information on the events listed below in a timely fashion. You may also find further information in regards to the following events by simply clicking on the link below each listed event. New Fairfield Baseball looks forward to helping all of our players have a fun and safe 2019 season!!! Tickets purchased together will be seated together. Upon Payment you will receive a Gift Certificate and Yankee hat suitable for gifting. The certificates can be reserved now with a return email to or call (203) 610-4193 with payment made before the Certificates are issued. **You may purchase as many as you'd like, while our supply lasts.